In addition to the standard sorting options, such as A-Z, you can sort in a custom order. For example, you can sort a column by month order, or create your own custom order list. 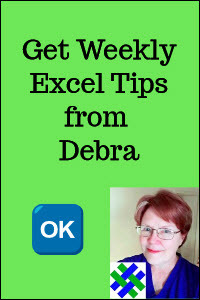 In this video, you'll see how to create a custom list, and use it for sorting a column. For detailed instructions visit the Sorting Tips page. Instead of sorting worksheet data by the values in a column, you can sort the data by row. In this video, you'll see how to sort a table of monthly sales, so the month with the largest sales total is at the left. 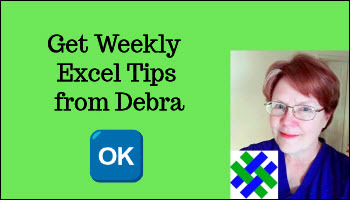 This video shows you how to set up a worksheet with hidden rectangles, and some VBA code. After that one-time job, just click on a heading, to run the Sort Table macro. For detailed instructions and the sample code, please visit the Sort With VBA page.